Hi! 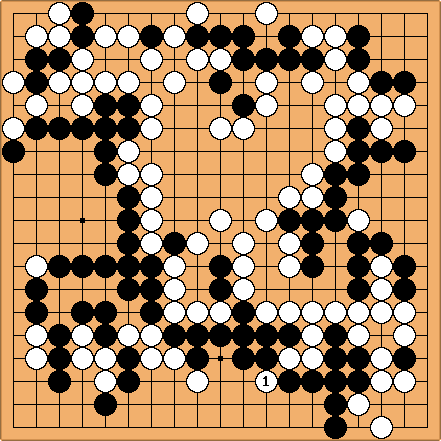 I am 16 and have been playing go since April, 2004. I am a proud member, partial founder, and original member of The Sabaki Go Club. I Hope that I will meet many of you and make many new friends. I am also a member of the Charlotte Go Club. Febuary 18, 2005: I play stronger at points today than I ever did before my 6 month break! This is very encouraging! See also Reading Problem 4. This is from an actual game. He ^ used it as the basis for the problem mentioned above.